We're just gonna slip in one more pumpkin product review before Thanksgiving comes, and then I think we'll be good until next October or so. We've taken a two week break since our last pumpkin product, but I suspect I'm still in that pumpkin-overload zone. Both Sonia's and my skin is a little more orange than usual, and we need to go ahead and move on—which we will. Soon. I promise. 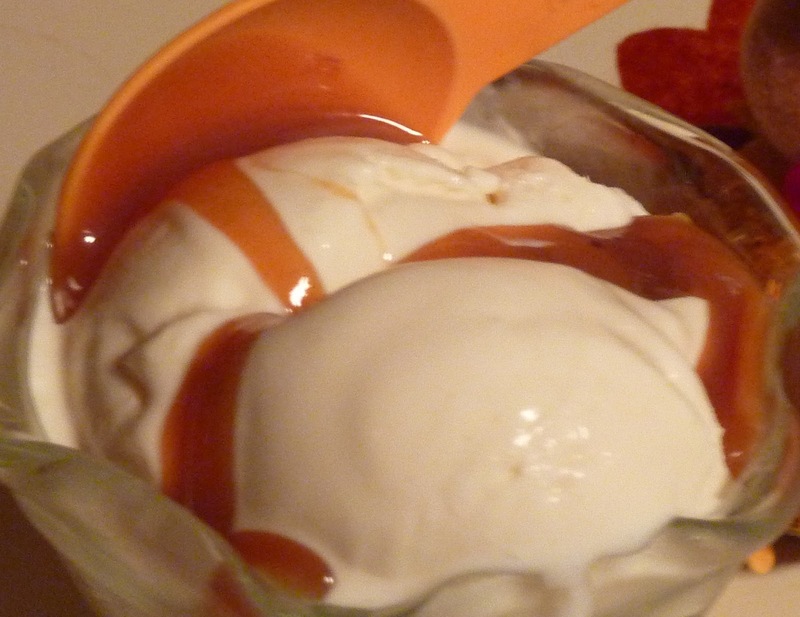 Back when the Shelly household was only two members strong instead of four, they tried a fleur de sel caramel sauce that impressed Russ well enough. So just imagine dumping a decent amount of pumpkin butter in that caramel sauce, and that's pretty much what we have here. Also, we ate this pumpkin caramel with the same French vanilla ice cream reviewed alongside the fleur de sel. I can't imagine this stuff going well with anything other than vanilla ice cream, but maybe I'm just not using my imagination. To cut to the chase, we both enjoyed this ice cream topping, but Sonia definitely liked it more than I did. 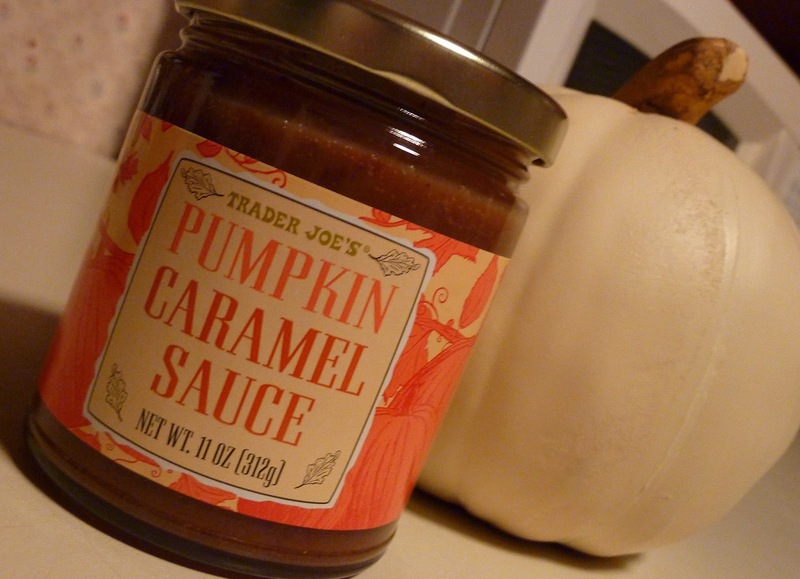 It's sweet and it tastes like, well, pumpkin and caramel. Imagine that. I felt that the pumpkin spices burned my throat on occasion. And I don't mean they burned my mouth like hot sauce might. I really mean that they tingled excessively in the back of my throat...all that ginger, nutmeg, and cinnamon. I found myself coughing while eating this after a number of sauce-rich spoonfuls. But I think the takeaway here isn't necessarily that this product is too pumpkin-spicey—it's that you should use it sparingly. A little bit goes a long way. Sonia is always wise in that regard, and she rarely overdoes it with sauces, icings, or frostings. Maybe that's part of why she liked the product more than I did. But even when I used it in much lesser quantities, it sat very heavy in my stomach, and it just wasn't my favorite ice cream topping. It's unique, seasonal, and it certainly doesn't taste bad...it's just that it's not what I would go for in terms of pumpkin ice cream. 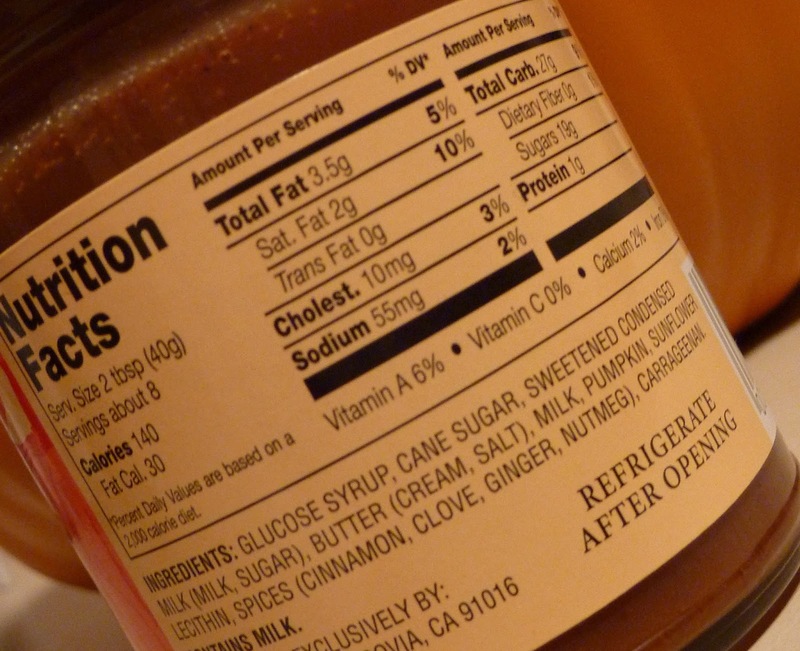 I'd turn to the Pumpkin Pie Mochis—and I'm still anxious to try the elusive Ginger Pumpkin Mouthfuls—before I'd pick up another $3 jar of this sauce. I always try to pick out my score for these products in my head before I know Sonia's score, so as to keep my opinion unbiased. In this particular case, I was shocked that her score was an unexpectedly-high 4.5. I had decided beforehand that I would give it 3.5 stars, but after I heard Sonia's score, I was tempted to give it even less, so as to pull it down out of the "really darn good" category, because in my opinion, it doesn't really belong there. But there it shall stand nonetheless. In the comments below, let us know what you've done with this product other than put it on vanilla ice cream! I put a spoonful in my coffee. Yum! It's also delicious on apple slices. Oh yeah, like a caramel apple...coffee sounds like a good idea, too. Thanks! I put it on pancakes this morning for a festive Thanksgiving treat.